The Salvation Army ReCreate Café will host the For Freedom Tour on Saturday, March 29, at 8 p.m. The For Freedom Tour headlines the acoustic, folk-pop duo Jenny and Tyler along with Levi Weaver and special guest Vanita Joines. The tour is in support of the latest project from Jenny and Tyler, For Freedom – A Covers EP, which consists of songs from U2, Smashing Pumpkins, Simon and Garfunkel, Coldplay, The Cranberries, Postal Service, and Louis Armstrong. The project supports the work of International Justice Mission, a non-profit organization dedicated to ending human-trafficking throughout the world. The evening will also highlight local human-trafficking awareness efforts by Second Life of Chattanooga and the Chattanooga Coalition Against Human Trafficking, which The Salvation Army of Chattanooga is a member of. The stop at ReCreate Café is part of a 30 city tour across the U.S.A. The concert will include original songs by Jenny and Tyler as well. Their website says acoustic guitar, mandolin and the kick-drum of an old suitcase drive catchy melodies to support thoughtful lyrics as Jenny and Tyler chronicle lives marked daily by love, joy, loss, doubt and redemption. 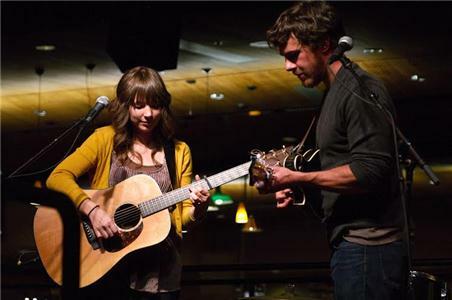 Their blend of driving, percussive folk-pop rings of Mumford and Sons and Nickel Creek, and at times echoes popular male-female duos such as She and Him and fellow Nashville darlings The Civil Wars. The doors open at 7:30 p.m. doors and the show is at 8 p.m. Purchase tickets at http://jennyandtyler.com/tour. Tickets are $8 in advance for students (must show ID) and $12 at the door for students. General admission in advance is $10 and $15 at the door. The Salvation Army's Recreate Café Arts Program seeks to bridge the gap between the homeless and artistic communities through the power of the arts. ReCreate Café is at 800 McCallie Ave. across from the UTC campus. For more information, visit www.facebook.com/recreatecafearts or contact Tenika Dye, ReCreate Café Artistic Director, at ­305-­6208 or by email to tenika_dye@uss.salvationarmy.org.